Zalgiris Kaunas roared past Alba Berlin 92-56 to snap a three-game losing streak and get back in the hunt in Top 16 Group E. Marko Popovic recorded 22 points and dished 5 assists to lead the Lithuanian champs, who improved to 2-4 with the win, while dropping Alba to 1-5. Berlin hung around early, but some nice baskets by Tremmell Darden gave the hosts a slim lead. Mindaugas Kuzminskas came off the bench in the second quarter to help push the advantage to 11 before it sttled at 44-37 at halftime. It was Marko Popovic who put the game away with 12 points in 14-0 run to open the second half and the Lithuanian champs never looked back. Darden added 17 points and Kuzminskas 14 for the hosts, who shook off the absence of Ibby Jaaber to romp to an impressive win. 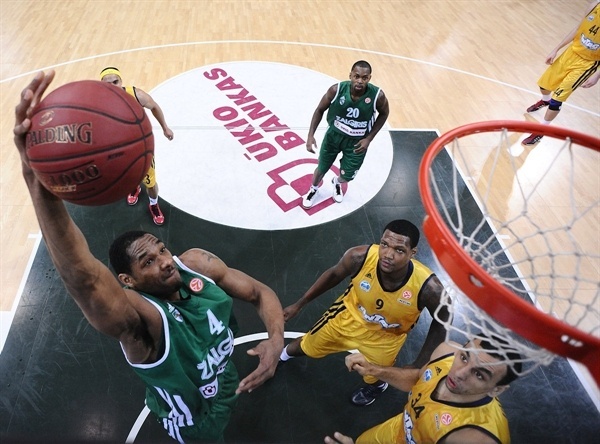 Yassin Idbihi led Berlin with 12 points and Derrick Byars added 10 in defeat. Deon Thompson gave the visitors the early lead with a baseline jumper. 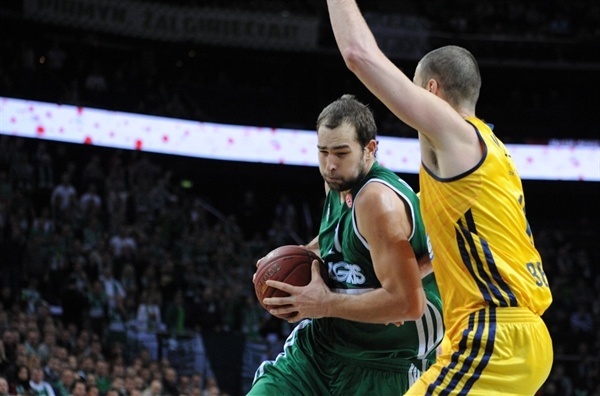 Popovic drained a jumper for Zalgiris’s first points and then fed Ksistof Lavrinovic inside to tie the game at 4-4. Alba quickly regained the lead through a pair of baskets from the game’s first substitute, Je’Kel Foster. A steal and assist from Oliver Lafayette led to a Popovic triple and the hosts’ first lead, 9-8. Thompson attacked the basket at the other end for a layup. Zalgiris continued to move ahead after a Paulius Jankunas steal eventually led to a Darden offensive rebound and slam, 13-10. A Darjus Lavrinovic steal gave Darden another chance to shine with a slam. But Darjus Lavrinovic’s hard foul on Thompson was ruled unsportsmanlike and after a pair of successful free throws, Foster drained a three from the corner to make it 15-17. Darjus Lavrinovic made amends with a three-pointer. 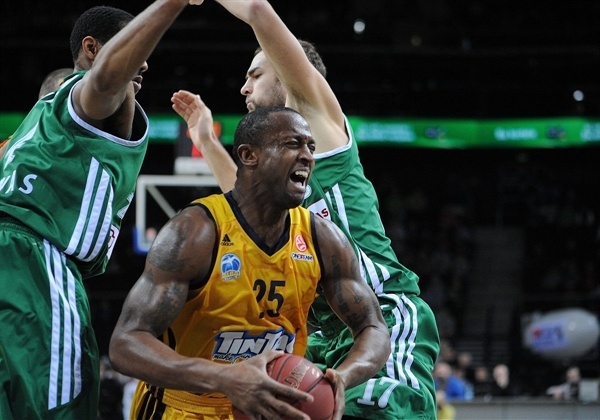 Adas Juskevicius and Darden followed with triples as the momentum stayed with the hosts. Idbihi took back 2 points from the line for Berlin, however Darden fired in another three for a 26-21 lead after 10 minutes. Mario Delas boosted the hosts’ lead to 7, but Nihad Djedovic provided a Berlin highlight with a steal, layup after a long roll on the rim, and free throw. Darjus Lavrinovic stretched to save a ball, which allowed Delas to find Kuzminskas open underneath for a 32-24 Zalgiris advantage. 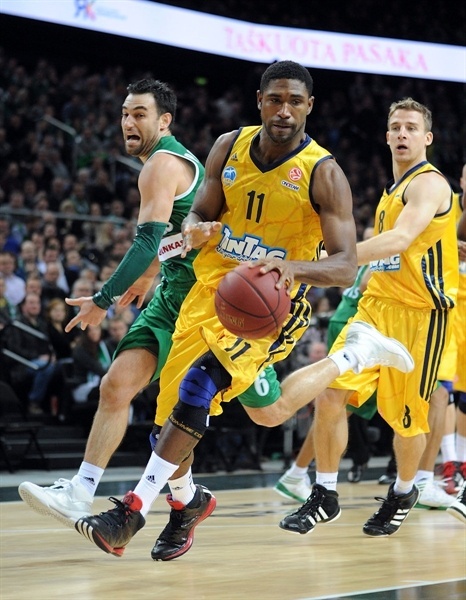 Idbihi knocked down a pair of jumpers, but Zalgiris remained in control as Kuzminskas answered with a triple. Heiko Schaffartzik narrowed the gap to 38-33 with a three-pointer for his first points. Kuzminskas continued to shine with a beautiful spin move and layup and then a steal and slam for the game’s first double-digit lead. Idbihi went to work in the paint for an important score that kept Berlin within 44-37 at the break. Popovic came out ready to shoot. Back-to-back three-pointers by the high-scoring guard put his team up 15. Popovic then fed Darden for an open court layup before he added a layup of his own. 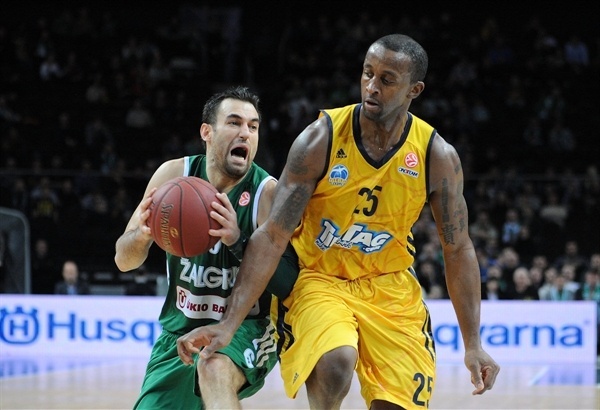 Popovic remained red hot as he knocked down a pair of free throws to cap a 14-0 march that took the Zalgiris lead past 20. Nearly five minutes had passed before Derrick Byars scored Alba’s first points of the half with a three-pointer from the corner. Byars fired in a second triple a minute later and then dished to Thompson inside to trim the gap to 60-45. However Lafayette found Darden and Delas inside in quick succession to restore a 21-point difference. Delas brought the crowd to its feet with a wicked slam that made it 68-46. 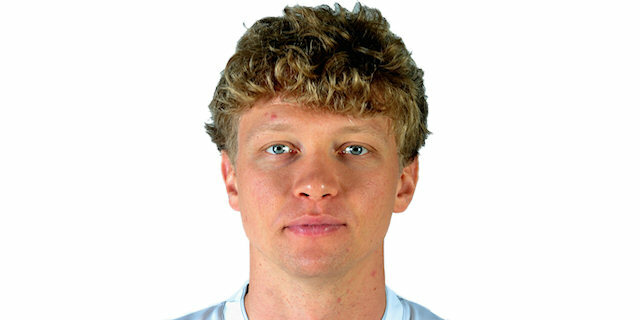 A Kuzminskas tip in made it 70-46 through three quarters. 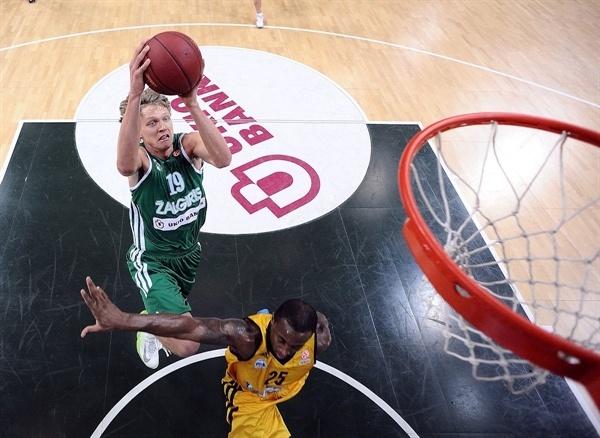 Kuzminskas drained a triple as Zalgiris refused to let up, taking the lead to 27. At the other end, Sven Schultze converted a basket-plus-foul for his first points. Zach Morley followed with a triple. 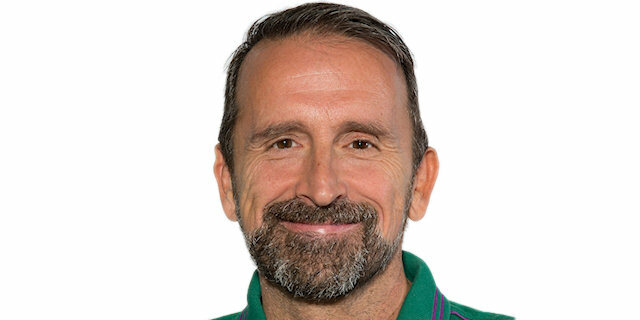 However baskets by Darden and Popovic ensured no comeback would be on the agenda. Popovic polished off the game with a triple to make it 82-52 with a little over four minutes to go. Vytenis Lipkevicius got his chance in the closing minutes and lifted the hosts to a 34-point lead as Zalgiris cruised to victory. "It seems that this season we are meant to suffer. Roster changes, injuries and so on. But what I told everybody before the game – we need to take care of the things that we can control. Nobody should disrespect Alba after this game. They beat Siena, they competed with Maccabi and they are a serious team. " 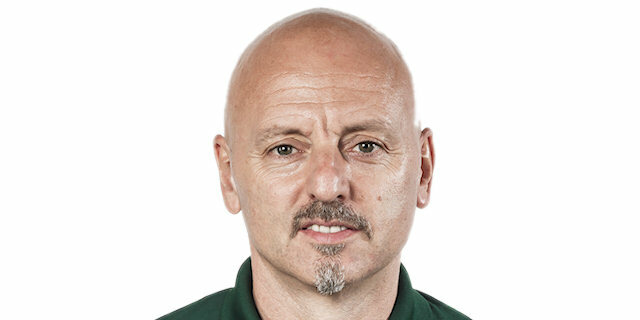 "Congratulations to Zalgiris, they totally deserved the win. I can say that they outclassed us tonight. They came with great energy to the third quarter and they caused us to make mistakes. They got into rhythm and they couldn’t be stopped tonight. The experience of playing in the Top16 is great for us, because we can learn from the best." "The secret to our success was in our hands. It was a very important game for us, we played at home and we had to win. Alba was in same situation as us, so they were motivated and wanted to win as well. But we were concentrated, prepared well for the game and we deserved this victory. " "In the first quarter we thought that we had a chance to win a game. 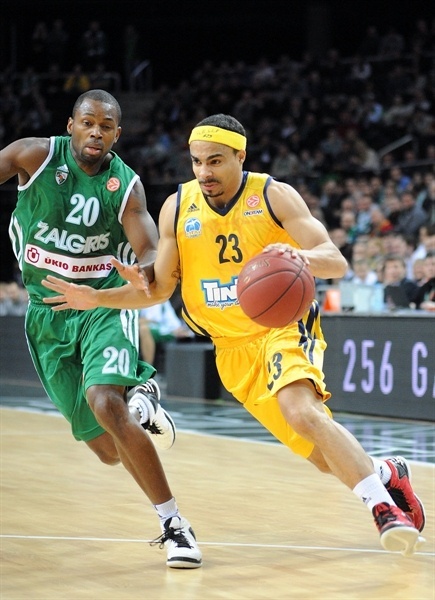 We knew that Kaunas is very strong team, especially when it plays at home. In the second half we were not as aggressive as we should have been. They choked us and we started the second half with a 5 turnovers. We go into every game and want to win, and after the first half we were down 7 or 8 , but we made a few stupid turnovers that we should not make. In the second half Zalgiris played very aggressive and we didn’t cope with that very well, also they played very good defense. "